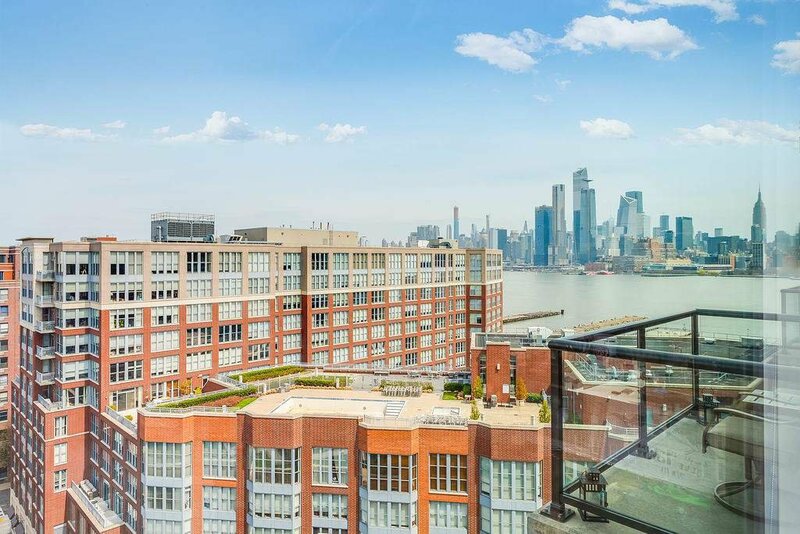 Penthouse with balcony and exquisite NYC and Hudson River Views at Maxwell Place, Hoboken's most sought after waterfront Community. 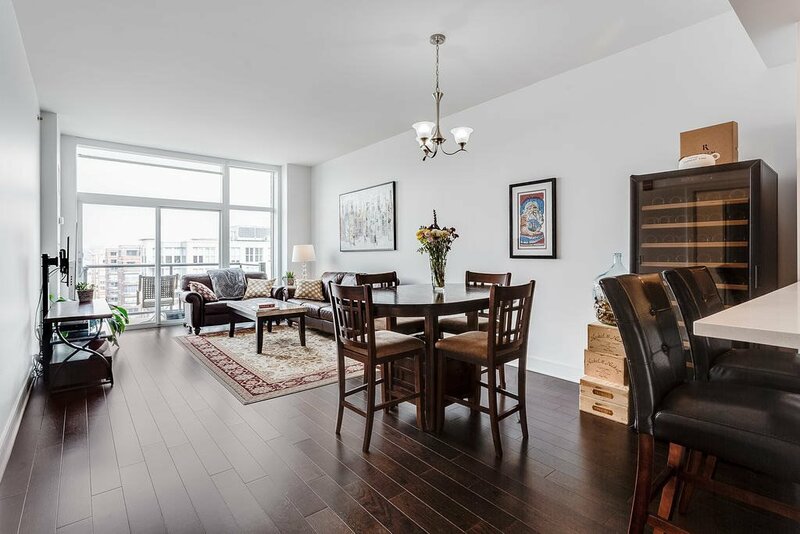 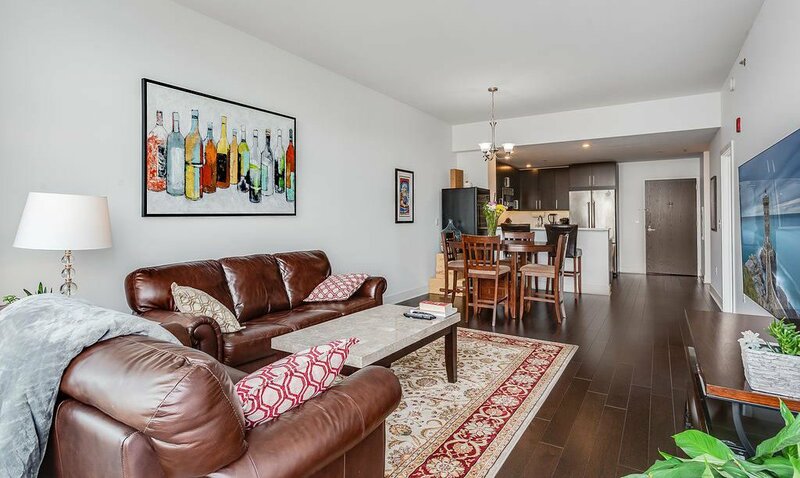 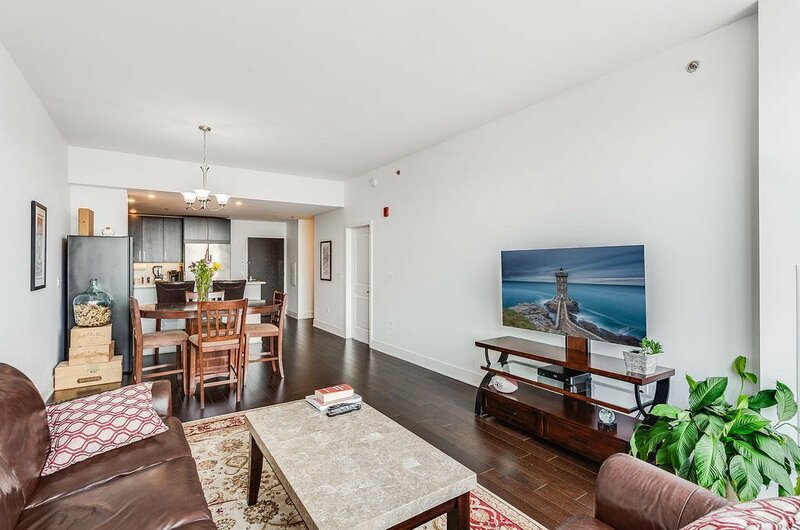 Fantastic 919 SqFt 1 Br with vaulted ceilings and the space you deserve for a separate living and dining room. 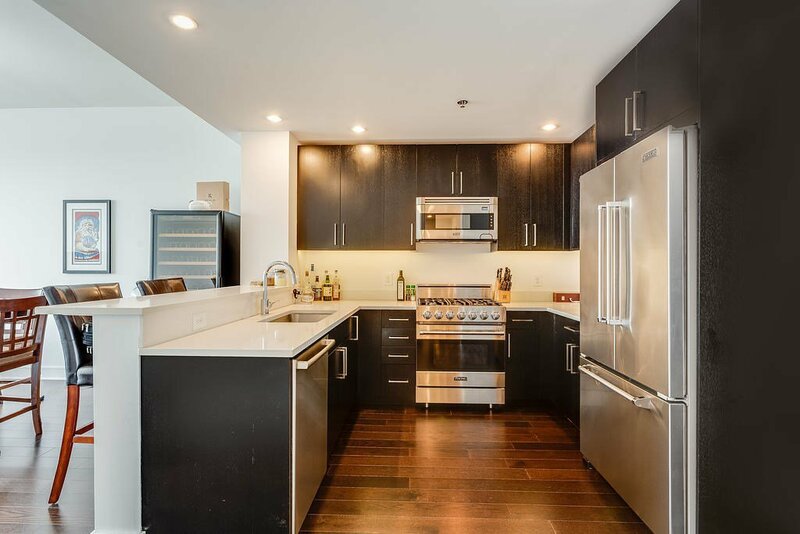 Chef's kitchen features Quart counters, custom Oak cabinets and Viking, Bosch and Sharp ss appliances. 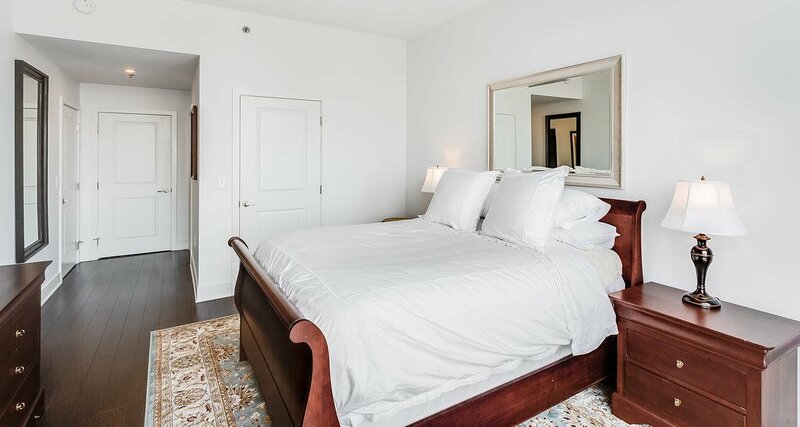 Master suite easily fits a king bed and has a walk in closet. 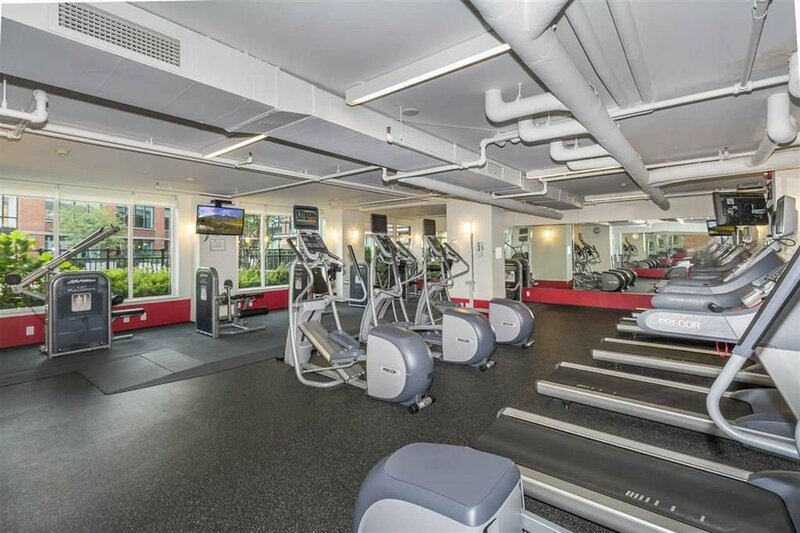 Community features 24 hr concierge, 2 state of the art gyms, community room w direct NYC views, 2 pools, landscaped rooftop gardens with bbq's, fireplace and tv. 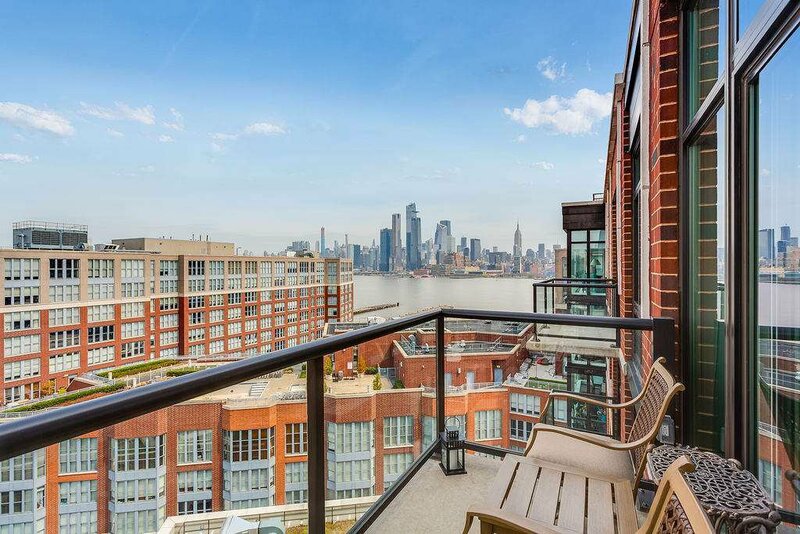 Commuter's dream….ferry and bus located around the corner or take the private shuttle to the path. 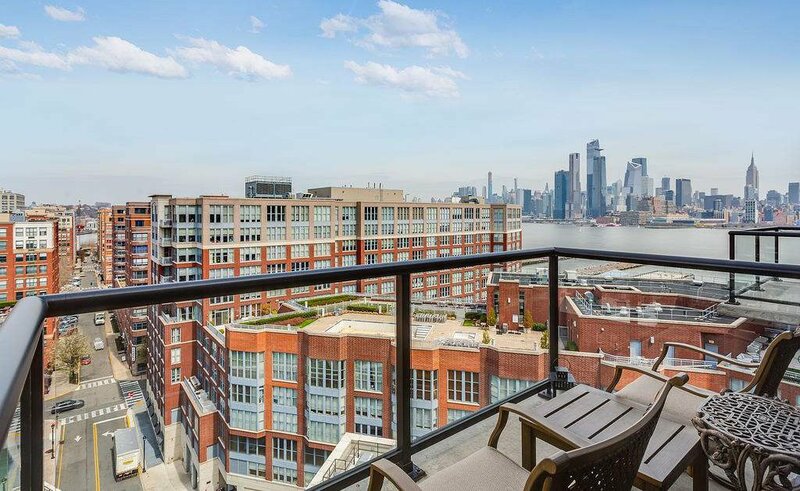 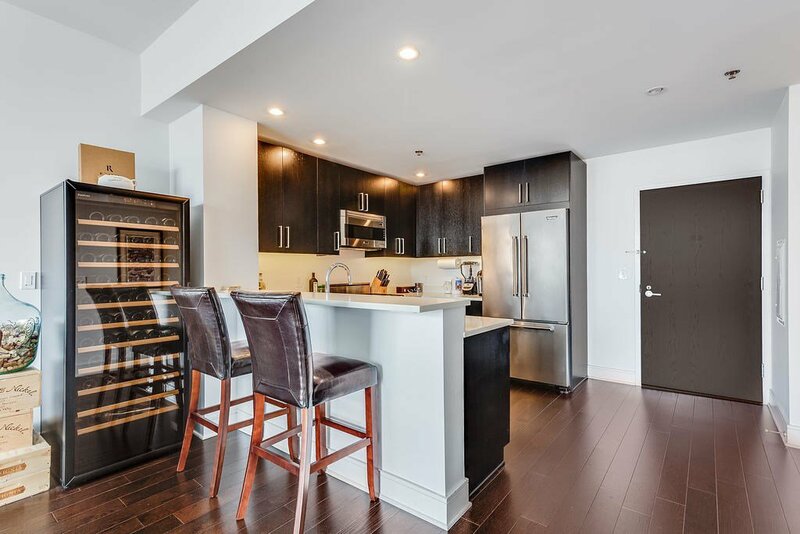 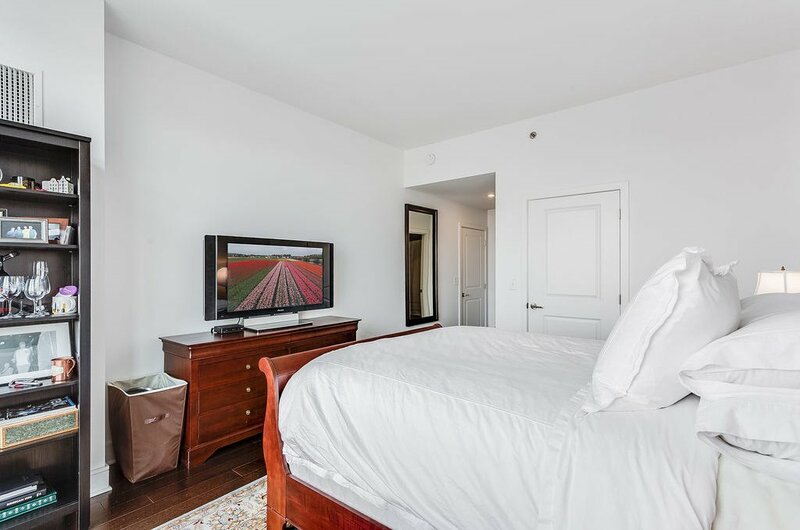 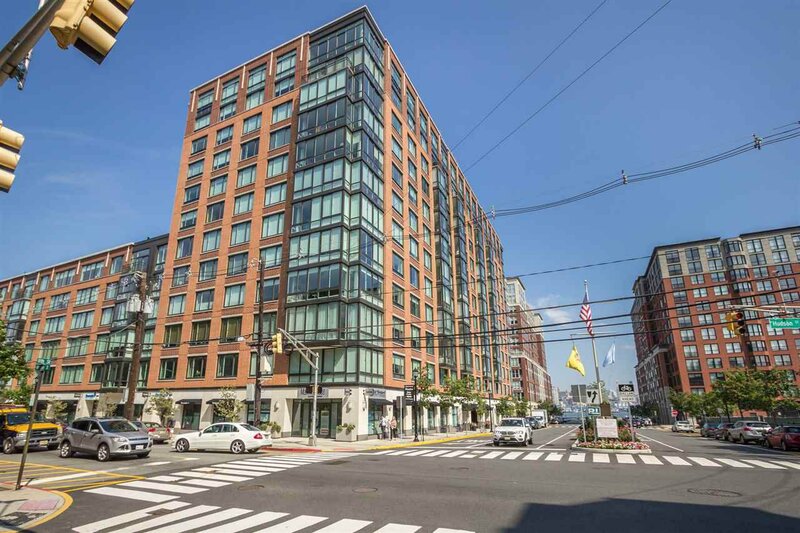 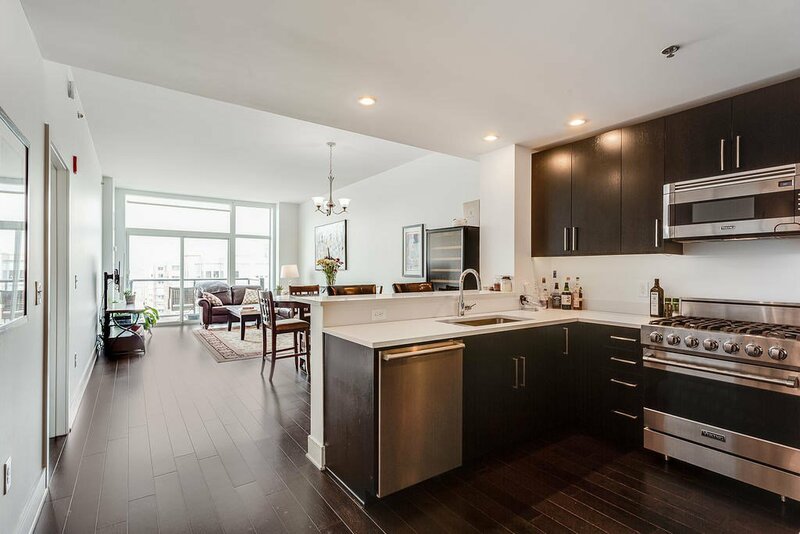 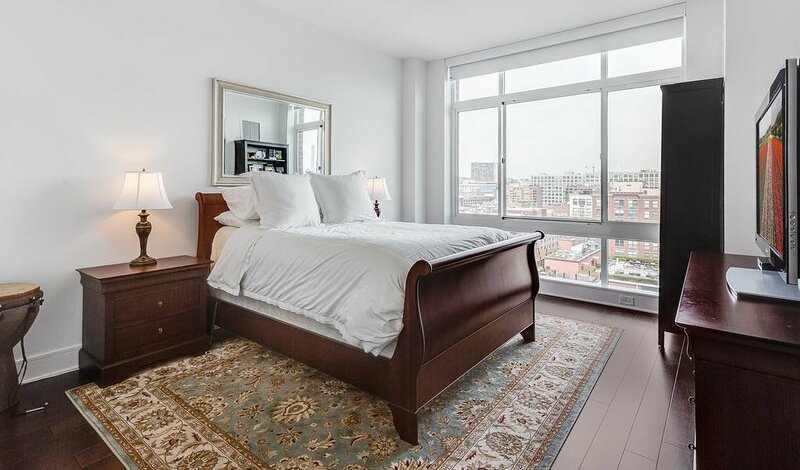 Located within 1 block of Hudson River walkway, shopping and restaurants only adds to this being the perfect home. 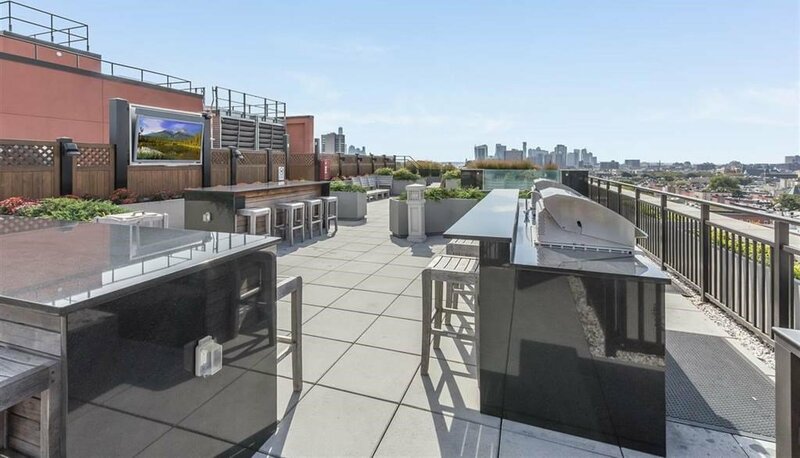 PRIVATE roof terrace available available for additional.